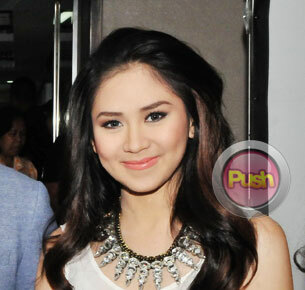 Sarah Geronimo says she and Angeline Quinto talk about how to deal with developing romantic feelings for a co-star. Sarah Geronimo admitted that she and fellow Kapamilya singer Angeline Quinto had the chance to have a heart-to-heart talk about dealing with love problems. Like the Popstar Princess, the Star Power champ also experienced having an avid suitor whom she almost fell in love with. But Angeline held back her feelings since entering a romantic relationship might just sidetrack her from pursuing a career in showbiz. “Nagkaroon na ako ng learnings na napagdaanan na natin bilang nauna tayo sa kanila. Ang maganda diyan nagiging generous tayo sa suporta at pagbibigay ng advice,” said the Popstar Princess who refused to say what her exact advice was to Angeline.